"If we don't learn to tell our own stories someone will tell them for us." Joe McHugh is a storyteller in the tradition of Mark Twain and Will Rogers. 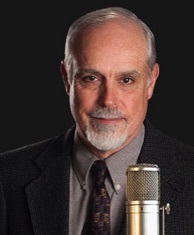 He is also a public radio journalist/producer and a cultural historian with more than thirty-five years of experience helping organizations and communities discover and more effectively tell their own authentic stories. He has authored three collections of folktales and humor from the mountains of Appalachia, produced multicultural festivals, founded a museum, designed a literature camp for children, pioneered the use of radio dramas in the classroom, and produced and hosted programs for public television and radio. He has presented at numerous national and regional conferences and served as a project consultant for the California Department of Education, Pennsylvania Department of Education, National Council of Family and Juvenile Court Judges, National Legal Aid and Defenders Association, and other organizations. He is the author of Kilowatt, a novel about the energy industry and the nature of time, Coins in the Ashes,a Family Story of Grief, Gratitude, and Grace, that chronicles his twelve-year quest to find the family of an African-American woman named Helen, and Slaying the Gorgon, the Rise of the Storytelling Industrial Complex. He was host and producer of the radio series The Telling Takes Us Home, a Celebration of American Family Stories. He is currently working on Rosin the Bow, a public radio series and oral history project for the Smithsonian Institution National Museum of American History exploring the many roles the violin family of instruments play in the world today. Mr. McHugh lives in Olympia, Washington, with his wife Paula Blasius-McHugh, a painter, graphic designer, and musician.